Thinking about earning your MBA at the University of Delaware? 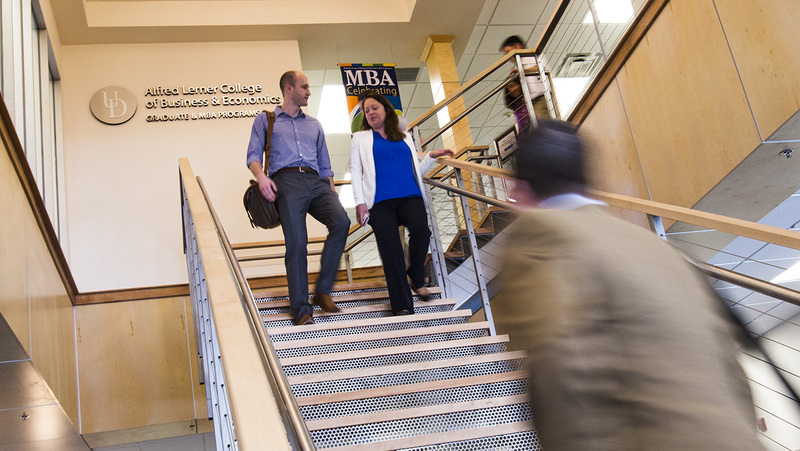 Meet with our Lerner College of Business and Economics MBA admissions team for Walk-In Wednesday on Jan. 23 between 4:00 and 7:00 p.m. in the Lerner Graduate Programs Hub. Admissions personnel will answer your questions and help you design a UD Lerner MBA degree that fits your goals, in the right format for your schedule: on campus, online or a hybrid of both. The Lerner MBA amplifies your knowledge, enhances your earning power and expands your career opportunities. Opportunity is incorporated into everything we do.